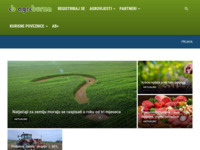 B2B agriculture vegetables portal. 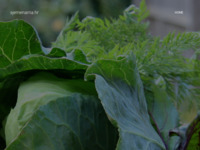 Vegetables education, offer/demand, special information and utility for manucature's. Cultivation, garhering and baying off medical herbs. Uzgoj i prerada voća i povrća. 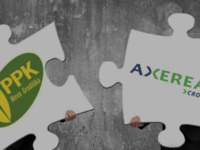 The basic business of Agrokor trgovina d.d. 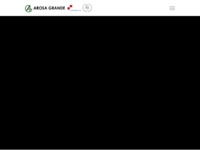 is trading in agricultural products and foodstuffs. 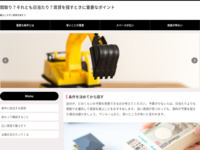 Over the last years the turnover showed the enviable growth rate of 10-20 per cent a year. 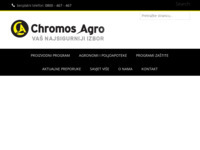 The company's objective is to grow into the largest buyer of and dealer in cereals and animal feed components in the Republic of Croatia. 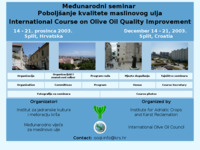 Internet pages of International Course on Olive Oil Quality Improvement with the main topics: olive growing & olive oil production, agronomic & environmental factors influencing olive oil quality, olive oil processing technology and quality, quality & marketing. Produces pesticides which secure protection from almost all known pests, weeds and deseases for many plant varieties. 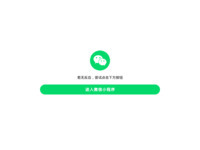 The company's capacities exceed 25000 t per year. About 90 active matters are produced in four manufacturing plants in seven formulations and the manufacturing programme contains about 150 finished products. The biggest producer of dressed chinchilla skins, more then 50% of world production. Proizvodnja micelija i supstrata za uzgoj gljiva te savjeti o uzgoju. 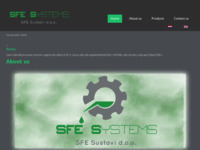 We are registered family farm located in Martinska Ves near Sisak. For many years we have been farming and fruit growing. With orchards, we have over 100 hectares of agricultural land and annually produce 250 tons of corn, 210 tonnes of wheat, 100 tons of apples, 100 tons of rapeseed oil, 50 tons of soybeans, 10 tonnes of plums. In addition to fresh fruit and field crops mentioned, we produce 100% natural, blurry and clear juice of apples, pears and a combination of apple-carrot, apple-beet, apple, pear, 100% natural apple cider vinegar and brandy. Welcome to this free, full-text online edition of ACS-Agriculturae conspectus scientificus. 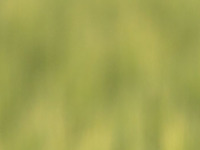 ACS is the scientific journal in field of agriculture. You have free access to all the full-text of scientific papers. Trade parts and accessories for motor vehicles and automotive fuel, wholesale trade products and goods in transit, cultivation of annual and perennial crops, and support activities in agriculture. 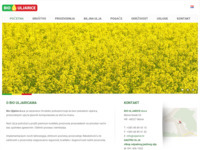 Sedlić Group is the farming group in the Bjelovar region. 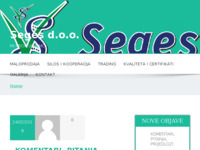 It comprises four member groups: Invest Sedlić Ltd. Trading, purchase of cereals and oleaginous plants, sale of cereals, oleaginous plants and their seeds on Croatian and foreign markets Sedlić Ltd. Purchase of cereals and oleaginous plant seeds, sale of soy seeds, production of fodder, whole and retail sale of fodder, production of agricultural products, services of drying and storage, organization of agricultural production Domagoj Ltd. Transportation services in Croatia and in the region. Our own vehicles enable transportation of merchandise on pallets and in bulk respecting delivery deadline. Veterinarian ambulance Sedlić Ltd. 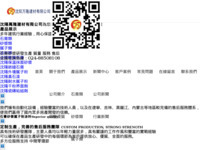 Treatment of domestic animals and pets, preventive and diagnostic treatment for domestic animals' health protection, artificial breeding of domestic animals, labeling and registration of animals, free of charge consulting, supply of vet and medical products for hygiene and care in milking process. 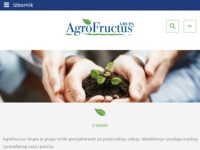 Unique project in HR offers the possibility of presenting your products, as well as create your own profile within agrobaze. 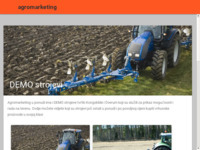 Excellent choice for the perfect advertisement for your products and services in agriculture. Our primary line of work is building greenhouses and installing greenhouse equipment that will help our customers in effort to gain best conditions for plant manufacture. 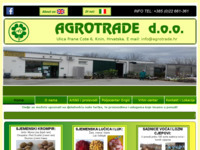 Agrotrade d.o.o. 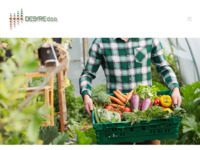 is registrated as a company for agriculture and trade, and its fondamental activity is trade and distribution of seeds, artificial fertilizers,means for plant protection, pasture and all other repromaterial for agriculture. 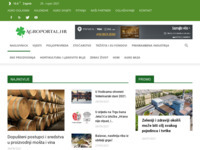 Agroportal je specijalizirani poljoprivredni portal informativnog i edukacijskog sadržaja namjenjen onima koji se bave ili koje zanima poljoprivreda. Market Information System in agriculture is a system of centralised, regularly agricultural and food market data collecting and processing and dissemination of the final market information to the participants on the market. 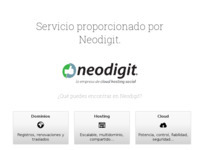 The objective is to collect prices of agricultural and food products to achieve the transparency of the market. 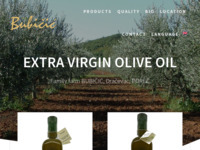 Family farm OPG KURSAN Branko manufactues domestic extra virgin olive oil from its own organic olive trees located in Central Dalmatia, in village Vrsno. 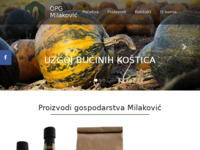 Domestic extra virgin olive oil OPG KURSAN Branko can be bought in Zagreb and Šibenik. Welcome to the Milakovic's farm website. We farm pumpkins, cereals, honey and sheep. 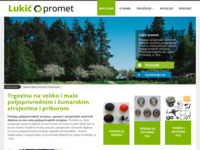 Our farm is located in beautiful country of Croatia. 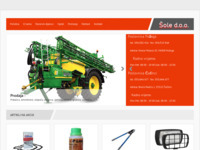 Wholesale and retail trade for agricultural and forestry machines, sale of equipment and replacement parts for all types of agricultural machinery. We offer a wide range of replacement parts for various machines (chainsaws, trimmers) renowned manufacturers. 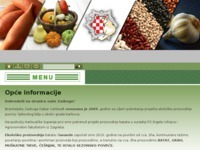 Trading, purchase of grain and oleaginous plants, sale of grain, oleaginous plants and their seeds on Croatian and foreign markets. Our company is a significant factor in purchase and wholesale trade of the grain and oleaginous plants. 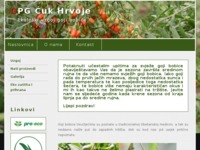 Family farm Jadranka Domjanic started growing hazel in 2014. On ten parcels we planted 2400 hazels, European kinds, Roman hazel and Istrian long hazel. 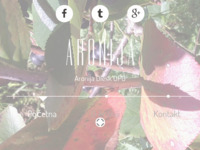 Orchards are located in small village Zabrdje, close to Gradec in Croatia. Nowadays, our range of products contains four cold pressed oils; hazelnut oil, sunflower oil, pumpkin seed oil and hemp oil and other products like hazelnut and hemp flour, hemp tea and hazelnut spread. 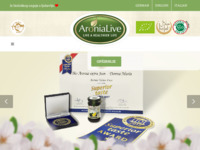 Aronia Mandic is engaged in organic farming aronia. 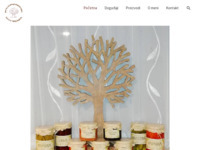 In addition to farming offers fresh fruit, juice master, dry fruit, tea, etc. Board of proffesional and amateur land lovers. 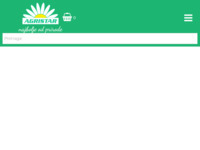 Agrival is the last innovation on the market which represents a useful and practical gadget for picking aromatic plants and fruits, especially olives, plums, chestnuts, hazelnuts, raspberries and coffee beans. Projecting and setting of irrigation systems, selling and setting of greenhouses, selling of greenhouse equipment for vegetables production, selling of hybrid vegetable seeds, substrates, pesticides (including pesticides for ecological plant protection). 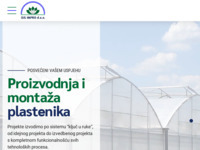 Ekološka plantaža aronije 18,6 ha sa BIO certifikatom u okolici Ivanić Grada. Bavimo se uzgojem, sadnjom i preradom proizvoda od aronije visoke kvalitete. Martinčević d.o.o. - lovni turizam, uzgoj divljači i peradarstvo. 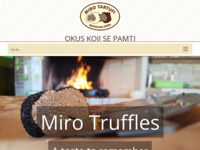 We registered our company for the buying and selling of these precious mushrooms truffles in 1991 under name of Midemi Ltd – Miro Truffles, based in Motovun. We offer both white and black truffles – either fresh or frozen. 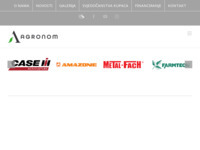 Sales of spare parts for tractors brands Ursus, Zetor and IMT and for all types and brands of tractors and tractor attachments, and harvesters brand CLASS, JOHN DEER, Newholand. 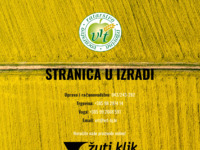 OPG Maretic from Pazin grows food grain on completely natural way without using any added supstract. Profesionalna izvedba sanitarne zaštite i zaštite uskladištenih poljoprivrednih proizvoda metodama dezinfekcije, dezinsekcije i deratizacije s naglaskom na provedbu fumigacije. 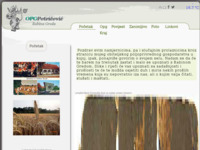 Educational-Informational Agricultural Portal. 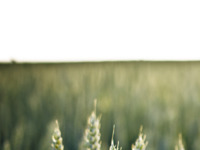 Discover everything you want to know about various agriculture subjects. Sjemenarna Zagreb d.o.o. je firma koja se bavi proizvodnjom, doradom i prodajom sjemena poljoprivrednog bilja. 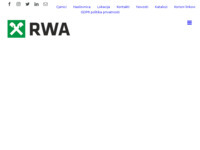 RWA is a seed company. 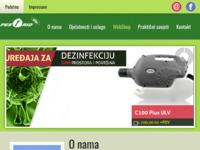 Forum za sve profesionalne i amaterske poljoprivrednike te sve ostale koje zanimaju agrarna i ruralna problematika. OPG Mataga is the agricultural family farm located in the heart of the fertile Neretva valley and specialized in production of tangerines. biteljsko poljoprivredno gospodarstvo Murić prati dugogodišnja tradicija proizvodnje desertnog kupinovog vina. Nasad je zasađen 1987. godine, i to 750 grmova na četvrt hektara. Hemp growing and processing company. 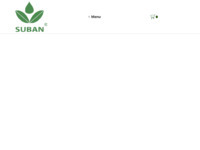 Hemp product manufacturer. Organic farm Sever is located in Lepšić, near Ivanić Grad.  The size of the farm is 60 ha, and we grow vegetables, fruits, grains, poultry, eggs and goats. 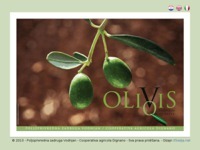 Organic produce is under control of the Bio inspect and Eco cert international. 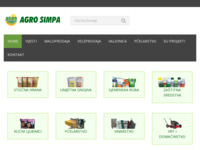 Infomational and educational site based on agricultural production and food industry. Voćarstvo ratarstvo trgovina d.o.o. Bjelovar jedan je od vodećih proizvođača sadnog materijala i jabuka u sjeverozapadnoj Hrvatskoj, a u ratarskoj proizvodnji među vodećima u Bjelovarsko – bilogorskoj županiji. Imamo najveći nasad jabuke u Bjelovarsko-bilogorskoj županiji, podignut na 31 hektaru. One of the leading companies in the area of ​​trade in agricultural products, agricultural machinery and raw materials for agriculture. AGRO-VIL d.o.o. zapošljava i usko surađuje sa iskusnim visokoobrazovanim stručnjacima, specijalistima iz područja zaštite bilja. Dvadesetogodišnje iskustvo osnivača u tehničkom, teoretskom i praktičnom radu sigurna je garancija da ćete na jednom mjestu i jednim kontaktom dobiti najpovoljnije ponude, savjete za primjenu pripravaka i nepristrane prijedloge za najekonomičnije cjelovito rješenje u poljoprivrednoj proizvodnji. Specijalizirani rasadnik sadnog materijala u Zadru. Vlastita proizvodnja. 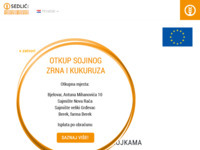 Deklarirani i certificirani sadni materijal pod stalnim nadzorom stručnih službi. Domaće i strane sorte maslina. 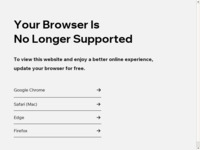 Oblica, drobnica, leccino, pendolino, ascolana tenera, frantoio. Oklod is a family agricultural business mainly occupied with olive growing and sheep raising, and we also produce a high quality cheese. 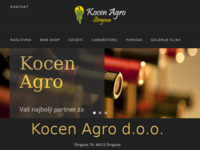 Seeds, plants, Slavonnia and Baranja, Agrigenetic ltd.
Proizvodnja i prodaja povrća iz ekološkog uzgoja. 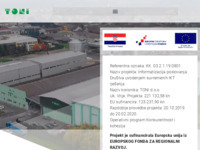 Proizvodnja se odvija u 18 plastenika na 1.900 m2 te na otvorenom na površini od 15.000 m2. OPG Židanić Mihaljević je od početka 2012. godine upisan u Upisnik ekoloških proizvođača i trenutno se nalazi u prijelaznom razdoblju. Toni d.o.o. 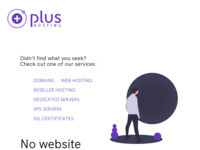 is a company dedicated to giving the best possible service to its clients and subcontractors when it comes to repurchase, selling and drying corn, wheat and soy. 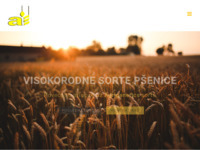 In our high-tech plant located in Donji Kraljevec we accept large amounts of crops quickly and efficiently and process it with highest quality, preparing it for the buyers. 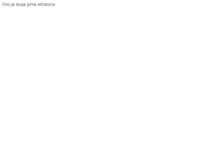 The web sites of my family and our agricultural job. 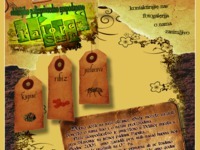 This is official website of Croatian tea producing company. 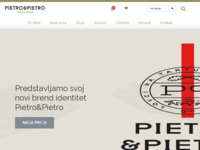 Povrćarstvo i distribucija sjemena povrća. Zatupnik tvrtki Seminis i De Ruiter. 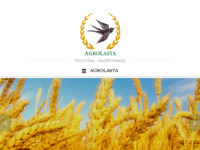 Main activity of the company is production and distribution of certified seed and contracting of brewing barley in Croatia. Zadruga pretežno djeluje na području grada Krapine, te općina Đurmanec, Petrovsko i Radoboj. Bavi se prizvodnjom jabuka na vlastitoj ekonomiji u Velikoj Vesi, te prizvodnjom cijepanog ogrijevnog drva u Lepajcima. Također se bavi i prodajom u veleprodaji i maloprodaji poljoprivrednog repromaterijala, poljo-strojeva, uređaja, aparata i alata, te prodajom građevinskog materijala, prehrane, pića i druge trgovačke robe. Svojim zadrugarima, kooperantima i drugim korisnicima pruža stručne usluge u poljoprivredi. Vegetable production is common for each family. All planting of vegetables takes place on my estate, and vegetables and fruits are processed for you in the final product. 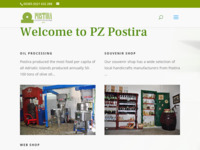 Agrolasta Ltd. is a company with years of experience and enviable knowledge in the field of agriculture, with its headquarters in Zupanja. Uslužna uljara Tkalec nudi Vam mogućnost prešanja Vaših koštica. Prvi u Hrvatskoj možemo ponuditi i toplo i hladno prešanje. Posjetite našu stranicu i saznajte sve detalje. S zadovoljstvom Vas očekujemo. Poljodar tim je moderna sjemenarska tvrtka. Osnovna djelatnost: proizvodnja i uzgoj žitarica, dorada sjemena, prerada kukuruza, pružanje usluga i trgovina, uzgoj šarana i tov junadi. 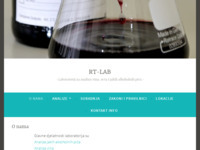 Imamo vlastiti laboratorij za ispitivanje kvalitete žitarica i sjemena ratarskih kultura. 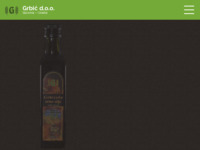 Grbić Ltd. production of agricultural - food products, cooperative production with smaller producers which are ready to follow our idea and vision. Located in an intact natural environment, in the tranquil and idyllic village of Nova Kapela near Vrbovec, some 60 kilometers away from Zagreb, our family farm grows Hvar lavender (Lavandula Hybrida Reverchon II). The best known organic food farm in Croatia, Zrno, is located in the nearby village of Habijanovac, only 5-6 kilometers from our plantation. Blackberry plantation has 7800 seedling, some early varieties Boysen and the rest is sort Tomfree late. It's all covered with grid to protect the plantation from invironmental impact. OPG for the production of Sweet Potato Sprouts. Young OPG with a different approach to agriculture, technology and agriculture coupled with minimal costs. Company for breeding, production and processing of fruits and fruit seedling. 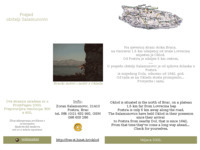 Commercial mediation on domestic and foreign markets with headquarters in Ladimirevci - Croatia. 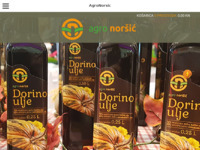 Agricultural Cooperative based in Vodnjan in Istria is producing its own extra virgin olive oil, cultivating its olive groves and presenting Vodnjan olive manufacturers in the marketplace. Natura d.o.o. 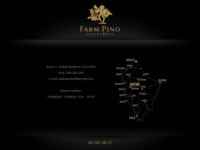 was founded in 1992, specialised in purchase, search and distribution of fresh truffles both in home and foreign markets. County alliance of agricultural associations. Small family farm situated 60 km from Zagreb, capital of Croatia. It cultivates lavander. Upoznajte naše obiteljsko gospodarstvo, kušajte najbolja međimurska vina i jabuke, prepustite se zdravlju u vinorodnom krajoliku i prekrasnom ambijentu naše vinarije. 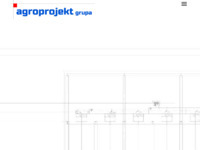 Savjetovanje u poljoprivredi (pri uzgoju voća i povrća), projektiranje i postavljanje sustava za navodnjavanje, opremanje staklenika i plastenika, uvođenje standarda kvalitete u proizvodnji (GLOBALGAP). 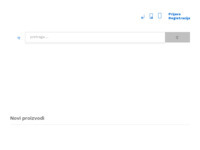 Poljoprivreda iz prve ruke - primjeri iz dobre poljoprivredne prakse. Proizvodnja kvalitetne mljevene začinske paprike za kulinare i mesare. Začinsku papriku proizvodimo već više od 20 godina na poljima Baranje. Uzgoj i proizvodnja bazirani su na tradicionalnom načinu uz predsušenje i polagano sušenje te odvajanje nezdravih plodova i uklanjanje peteljki, čime postižemo iznimnu kvalitetu i dugotrajnost proizvoda.